Secular Pro-Life Perspectives: Secular Pro-Life at the DFLA Conference! 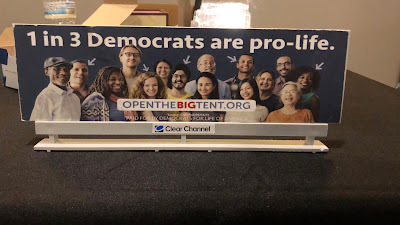 This weekend I had the honor of attending and speaking at the Democrats for Life of America (DFLA) Conference in Denver, Colorado. I myself am a registered Democrat and pro-life activist operating in San Francisco, one of the most left-leaning of America’s progressive cities. 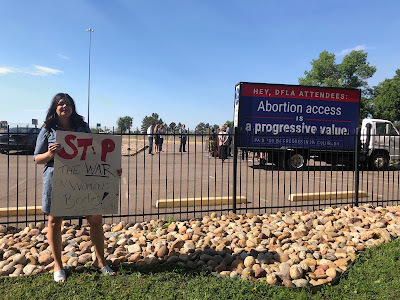 A progressive local group in Colorado had purchased a billboard sign attached to a truck that read “Hey, DFLA Attendees! 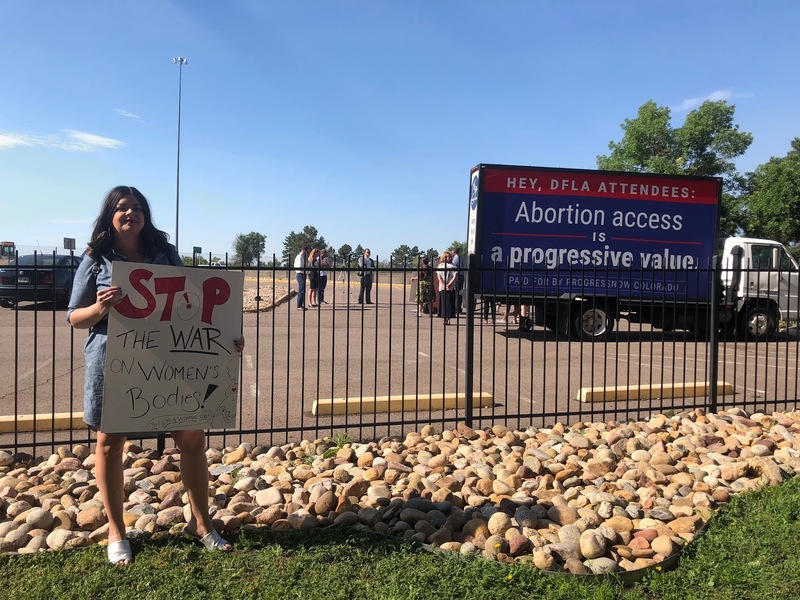 Abortion Access is a progressive value” and hosted a press conference to denounce DFLA with speakers from NARAL as well as local Democratic leaders. Their protest was met with members of DFLA holding signs that read “Planned Parenthood is Anti Union” and “Pro-Life For the Whole Life”. We outnumbered them and chanted “Love Both”. A few of us interrupted the press conference with slogans like “You can’t achieve equality by killing people” and “Stop killing the poor”. We also ensured that there were pro-life signs visible throughout the speeches. The conference itself was well organized and featured a diverse set of speakers with a range of subjects. Destiny Herndon-De La Rosa and I first did a panel on pro-life feminism where we discussed the relationship between feminism, pro-life values, and progressive thought (video here). I covered some dos and don’ts when communicating with feminists and left-leaning people like myself. I also spoke on a second panel about cultivating the whole life movement through secular and Millennial outreach. The message, while controversial for many audiences, was very well received by the democratic participants. 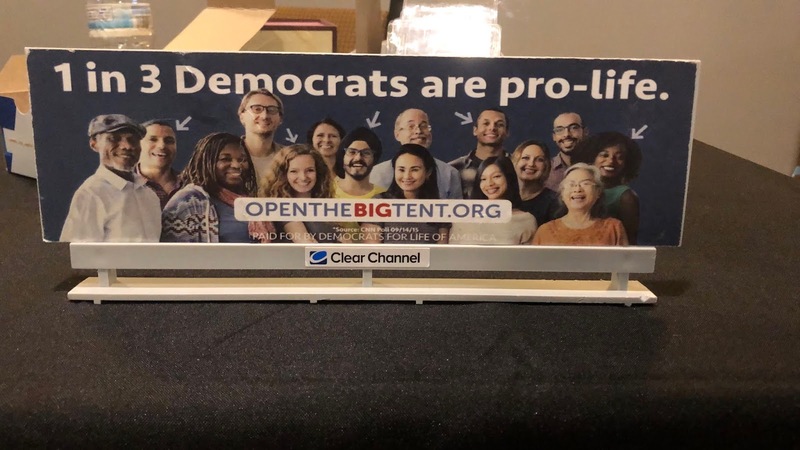 It’s no mystery that the Democratic Party has actively been silencing pro-life leadership and while still a significant minority, pro-life Dems are losing ground. But yet we are hopeful. The statistics show Millennials, although very left-leaning, are still undecided on abortion. Democrats cannot likely win elections in key areas without the support of pro-life Democrats. Based on my first-hand experience in San Francisco, there is reason to hope that the anti-capitalist and socialist movements will recognize the immense political and financial greed emanating from Planned Parenthood and the monstrous profit margins from the destruction of innocent human lives. Ending Planned Parenthood’s influence the democratic party must remain a top priority and with a pending FBI investigation as we speak, it’s all hands on deck. And when we make democrats pro-life we will achieve cultural victory.